Heaven…Will YOU Graduate with Honors? 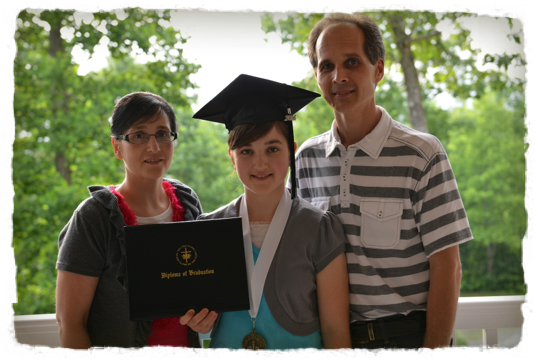 Our hearts are filled with joy as our oldest daughter, Brianna, graduated from high school two weeks ago. We celebrated her accomplishments at our home with a number of special family and friends. It was truly a joyous time as we commemorated her achievements, but even more importantly, as we honored her choices! Brianna was able to write many of the letters of the alphabet by three-and-a-half, she could pick up “easy” reading books and read by herself at age four – without me teaching her how to read (she learned by listening as I taught her older brother!) 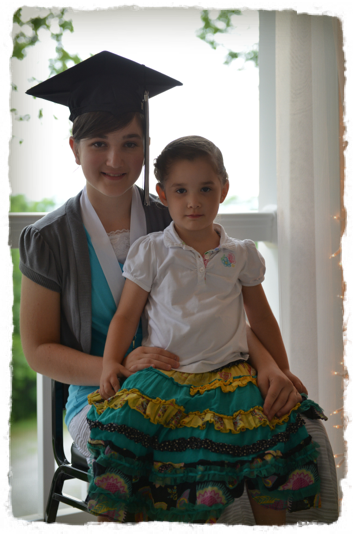 and she was able to graduate with “honors” because of her above average grades. However, what pleases us the most is who she is and not what she’s accomplished. We are aware that someone can have an exceptional amount of knowledge, incredible intellect, and even be a “self motivator” but make a mess of their life because of their bad choices or by not choosing to follow God’s plan for their lives. This is the reason why we have chosen to focus on building character in our children’s lives rather than emphasizing only the academics. When our children are taught how to make godly and wise choices, only then are they equipped to face the challenges and opportunities the world has to offer. Brianna grew up not only as the “middle child” in our family, but also in the middle of two very sick siblings who needed most of our attention for many years. As a three-year-old, Brianna would beg us to go for blood work, and IV’s, and she insisted many times that she also wanted to have a heart transplant just like her brother and sister. My husband and I did our very best to include her and spend as much time with her as we could, but we knew there was no way we could ever shield her from the ugliness and hard times we were facing. What we could do, however, was pray for her and direct her to the heavenly Father. A few years ago, we again cried out to God to help her not to become angry and bitter as she deeply grieved and processed the death of her best friend, her brother, Austin. Although she will forever continue to grieve this loss, we rejoice that Brianna has made the deliberate choice to trust God and seek to know Him more fully even though life is filled with hurts. We have seen her develop and mature into a caring young lady with a beautiful heart for those who are hurting. 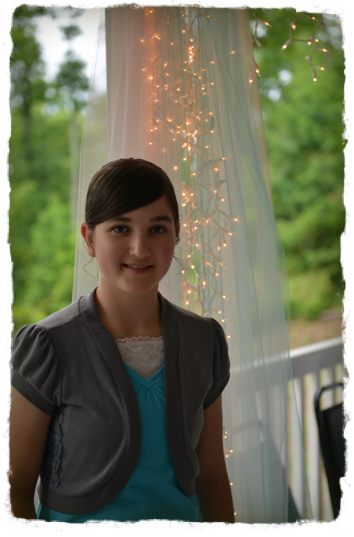 God is still not done working in Brianna’s heart and life and she struggles, like we all do, to have the right attitudes and responses when frustrations and disappointments come. But, as parents, we are so blessed to see her continuing to move in the right direction and growing in her walk with the Lord. As I think of graduations, I think of the most important and final “graduation” I will ever experience…My graduation to heaven. Will I be able to graduate “with honors” because of the choices I have made and the ways I have applied myself to being all that God had created me to be? Have I accurately betrayed the caring and compassionate heart of Jesus to the hurting souls? Have my children seen the nurturing and encouraging example of Jesus in my attitudes toward them? Has my husband felt respected as a man of God by what I’ve said or done? Does my life exemplify that I have learned the importance of hearing from God and being in harmony with Him? Do I understand how to make choices with my spirit instead of with my intellect? Do I allow God’s word to judge me rather than me judging the scriptures and seeing what is still relevant for today? Do I see all of life and the consequences of my daily choices from an eternal perspective, rather than just the “here and now” aspect? So many of our decisions and choices are made because we are selfishly looking at life from our own perspective. We live our lives as if it was all about us! We focus on what makes me happy and what I want to do rather than what is best for those around us and, most importantly, what God wants me to do. As long as a person views life in this way, they will continue making wrong choices and decisions that will hinder the God-given opportunities that God has planned for them. Unfortunately, this is a reflection of many “Christians” in our world today. Let me ask you…Have you asked Jesus to come into your heart and to save you, yet never allowed Him to become Lord of your life? Do you allow Him to control your decisions or are you stubbornly still making life happen in your own way? Who’s in the “driver seat” of your car? How are you “scoring” as you “grade” your choices, attitudes, decisions, while you move towards the day of your “graduation”? The prerequisite for entering heaven is not only in asking Jesus to come into our hearts and saving us, but it is in “doing” the will of God. This means following the commands that Jesus gave and obeying God’s word rather than being involved in iniquity. When you are handed your “diploma” on your final graduation day, will you hear these words? “Well done, thou good and faithful servant: thou hast been faithful over a few things, I will make thee ruler over many things: enter thou into the joy of thy lord.” (Matthew 25:21) May each of us be found faithful!